Last week, I basically shut down. My husband was traveling for business. When he arrived home Thursday morning, he was shocked to find me sipping coffee on the couch chatting with our Nanny. I’m extremely protective of my work time. When I have childcare, I am 100% focused on work. At first, he made a joke about how I came out of my hole to socialize. By the end of the day, he was quite concerned about my lack of motivation for basically anything. It started two Sundays ago when I was on my way to the gym and got rear-ended at a red light by an 18-year-old who was texting. She never hit the brakes and hit me pretty hard. When I got out of the car, I was shaking and, to her dismay, yelling. Now you think I’d be yelling about her texting. Actually, I think that is what was coming out of my mouth. But you know what I was really mad about? ALL OF THE TIME SHE JUST COST ME! Ugh, I am not proud of this. My initial reaction should have been to make sure she wasn’t hurt. Thankfully, neither of us were and neither of my kids were in the car with me. I managed to calm down rather fast when she teared up and asked if my kids were in the car. I drive a van so she assumed I had little kids with me. This is when it hit me like a ton of bricks. I’m so stressed out that I cared more about the time to get my car fixed than the fact no one was hurt! At that moment, I finally just shut down. All I wanted to do was go to the gym and squeeze a workout in the margins of life. The reality is, I push myself too hard after having a baby. I push myself to the point that I’m basically pretending I don’t have a baby in an attempt to avoid postpartum despair. (I suffered from postpartum PTSD the first time and postpartum anxiety this time). My baby girl turns one this week and I’ve officially crashed and burned. My husband finding me sipping coffee on the couch was me waving the white flag that I need a break. Not a break from my kids or my life but a break from the hustle. I’m super proud of the business I’ve built but I’m to the point of asking myself at what cost and what for? 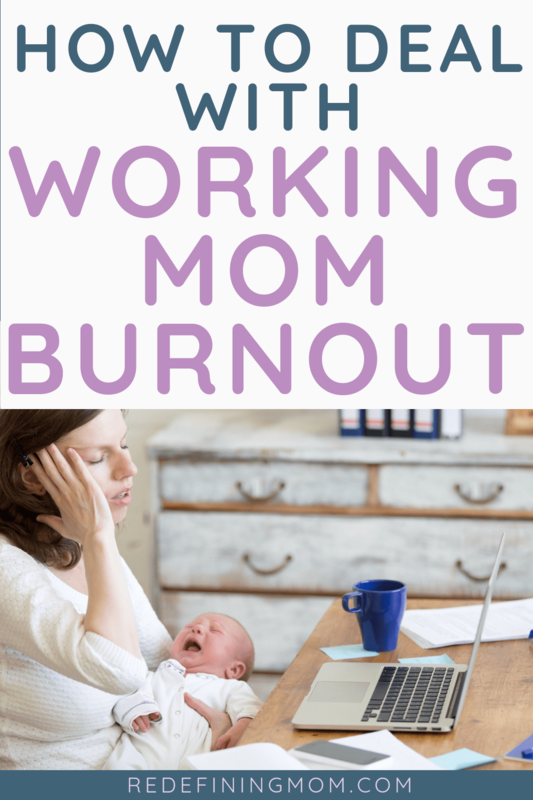 The purpose of everything I do was to create a healthier balance between work and home. 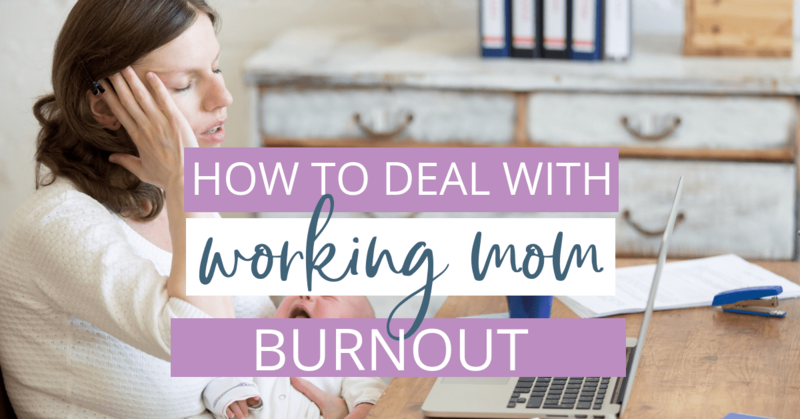 Since my baby was born, the balance got thrown way more towards work than home and that was not my intent. I do not believe there is anything wrong with being ambitious and pursuing this business that I love so much. I have utter respect for women who chase their dreams while raising babies. I do and I feel no shame for it! The point of running your own business is to be the boss and make your own rules! The balance of time was in favor of work for the last year while I was in hyper-growth mode (and avoiding my postpartum anxiety). Now I’m putting the balance of time into personal and family growth. After I snapped out of my haze last week, I decided it was time to do what I do best… make a plan. I am a firm believer that saying yes means you’re saying no to something else. 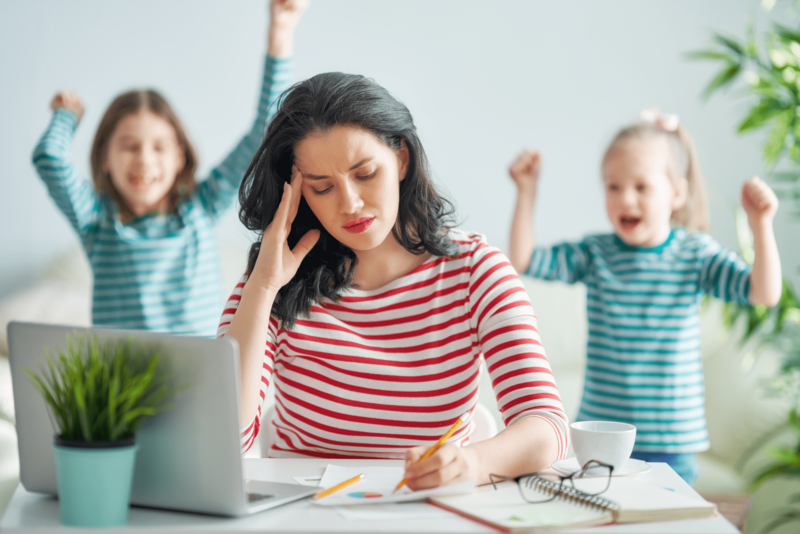 Often times in the past year that meant saying yes to work and no to my kids. I intend on flipping that around this year. I have not lost a pound since two weeks postpartum. I’ve accepted the fact that I’m not someone who can lose weight without trying. Since I don’t want to take time away from my kids, the majority of my workout time will happen when my Nanny is with the kids. This means less work time. This is a huge one for me. I’ve put a lot of pressure on myself to do more and grow bigger with this business. The truth is, I’m starting to feel okay staying small while my kids are little. They won’t always be so dependent on me. There will come a time when I can work morning, noon, and night and no one will care. I recently read a book that speaks to this very point: Company of One: Why Staying Small Is the Next Big Thing for Business. This book really changed my mindset! Sometimes I’m going to fail people. Sometimes people will be mad I can’t do more for them. The reality is this… a few weeks ago my daughter was begging me to cuddle her and read a book. My mind was preoccupied with a not-so-nice email I had just received that I wanted to respond to ASAP. I chose my daughter over the angry person who was demanding my time. I haven’t always made the right choice in these circumstances. This is something I’m actively trying to change. Now, I don’t want to make this all sound so fluffy and easy to accomplish. The truth is, I still love to work and this business has made our lives so much easier in a lot of ways. 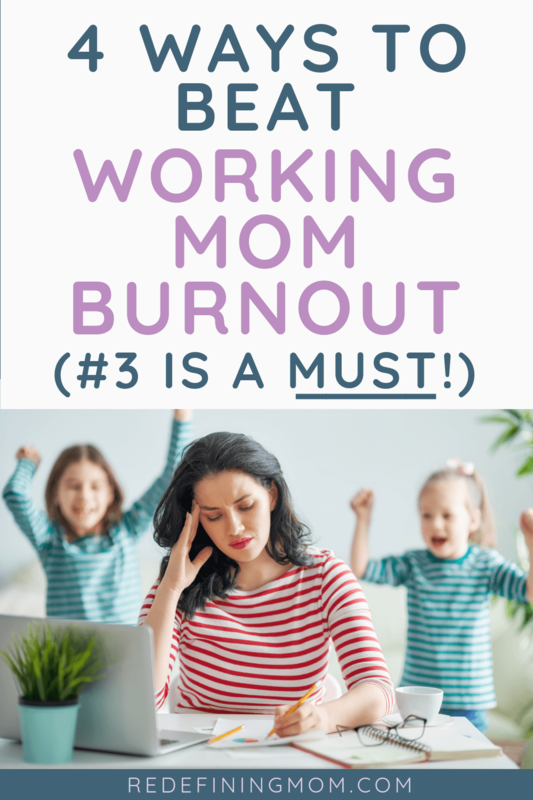 This means I have to be more disciplined with my work time and accept that I’ll have to back-burner some work projects I am super excited about. I strive to show my girls that you can work hard, chase your goals, and still be present for the people that matter most. Some days that means work takes a timeout. Other days it means asking for understanding from my kids because I have a big work deadline. At the end of the day, that’s really what being a mom is all about — showing love, compassion, and understanding.